Now I don’t mean to brag, but I’ve just won the Weekend Warrior challenge last week, and I’m rather proud of this achievement. To give you some context, this was a challenge thrown at me by a friend via Fitbit’s platform, to see who logs the most number of steps over the weekend. The Weekend Warrior is just one of the challenges available on Fitbit, and while I can’t call myself a fitness buff, this does seem like a fun way to make sure I stay active. What’s more, it has motivated me enough to wholeheartedly accept the next one, the Weekday Hustle challenge. 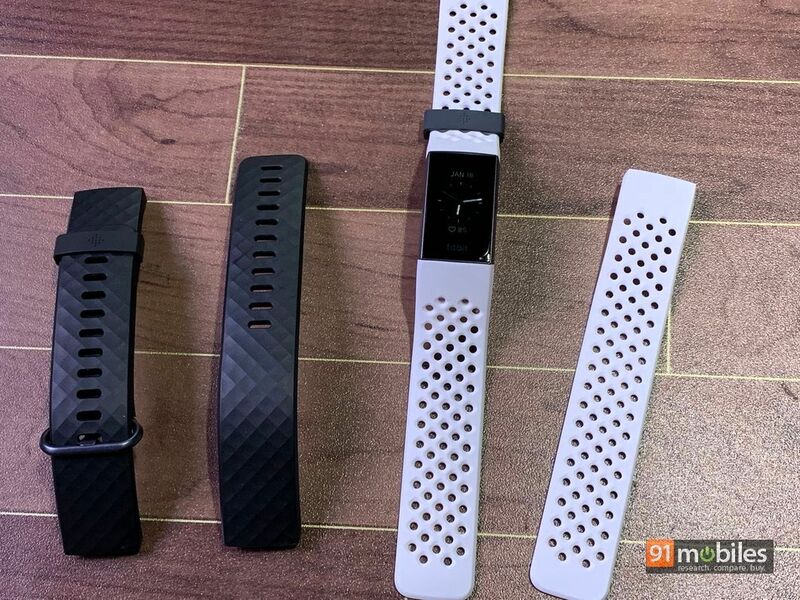 My weapon of choice is the Fitbit Charge 3, a new fitness tracker the brand has just released, and here’s why I think it deserves to be around your wrist. 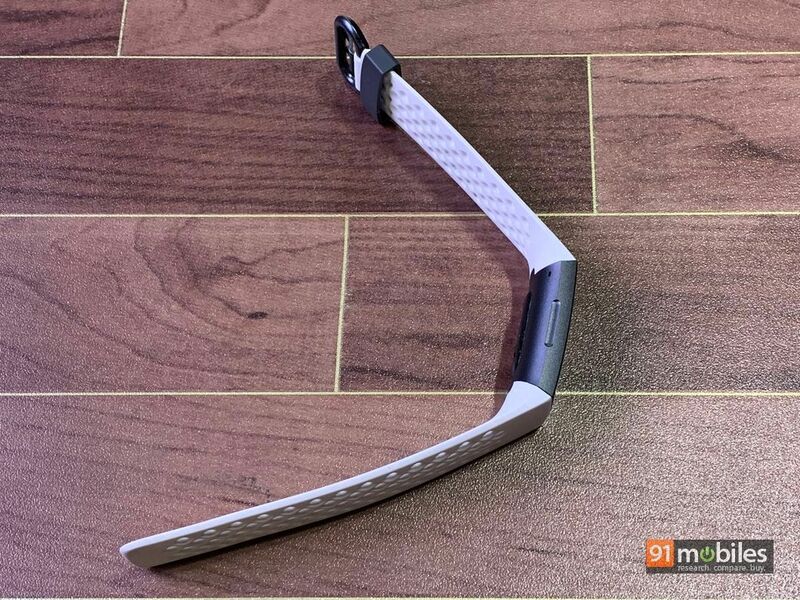 The Charge 3 is a low-profile fitness band, and not a huge departure in terms of design as compared to its predecessor. 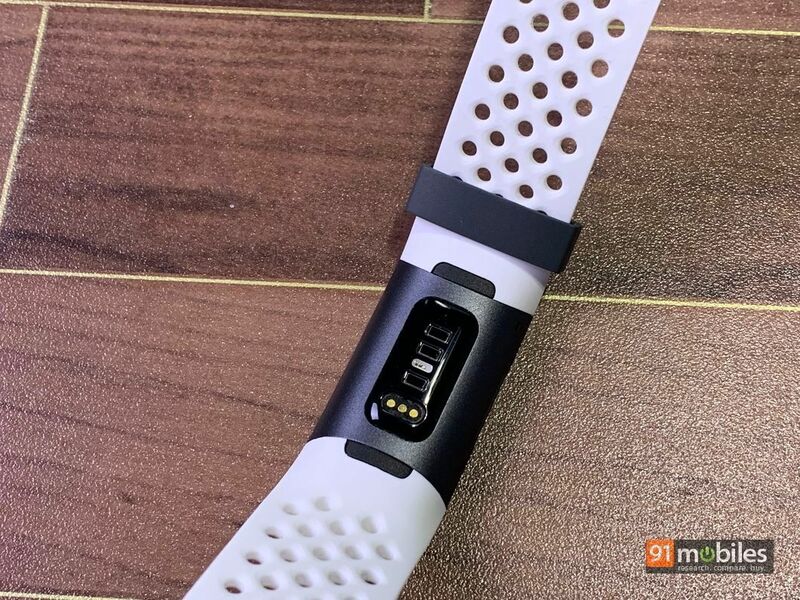 I have the special edition variant for review, which sort of looks funky because of the white perforated strap it comes with, but in case you opt for the regular version, you’ll get a basic black strap that will blend in with whatever you choose to wear. 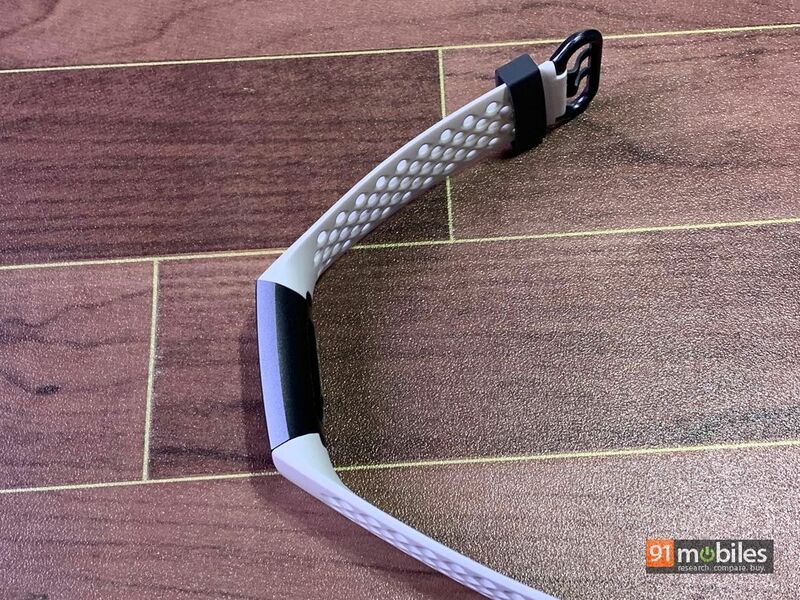 By the way, the same black band (in large and small sizes) is included with the limited edition as a spare option for you to swap when you want. Swapping straps is easy, and just needs a simple button press to release them on either side. 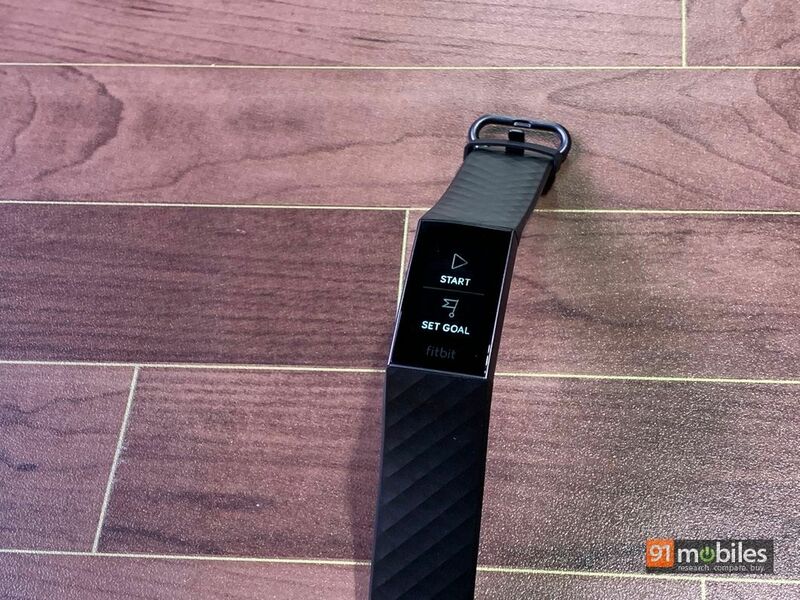 Fitbit also sells additional straps for the Charge 3 in different colours and finishes. 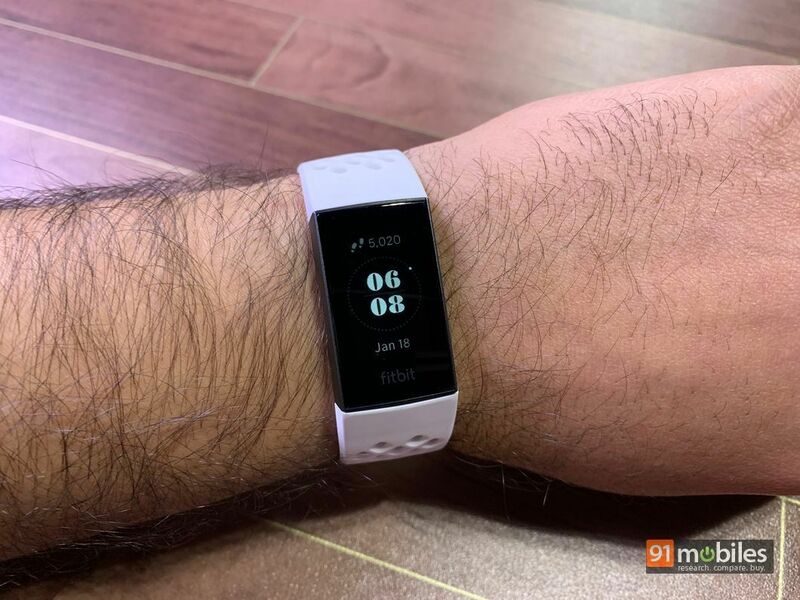 In the middle of those straps sits the core, which comes encased in a lightweight aluminium case sporting a curved design that hugs your wrist, and a monochrome touchscreen display on top. On the side of the tracker is an inductive button that acts a a back key and helps makes the device swimproof. In fact, the Charge 3 is water-resistant up to depths of 50 meters, so you can wear it to the shower, or take it to the pool to let it track your swims. Also, it’s extremely comfortable to wear… a crucial aspect for something you’re supposed to adorn all the time, even to bed. 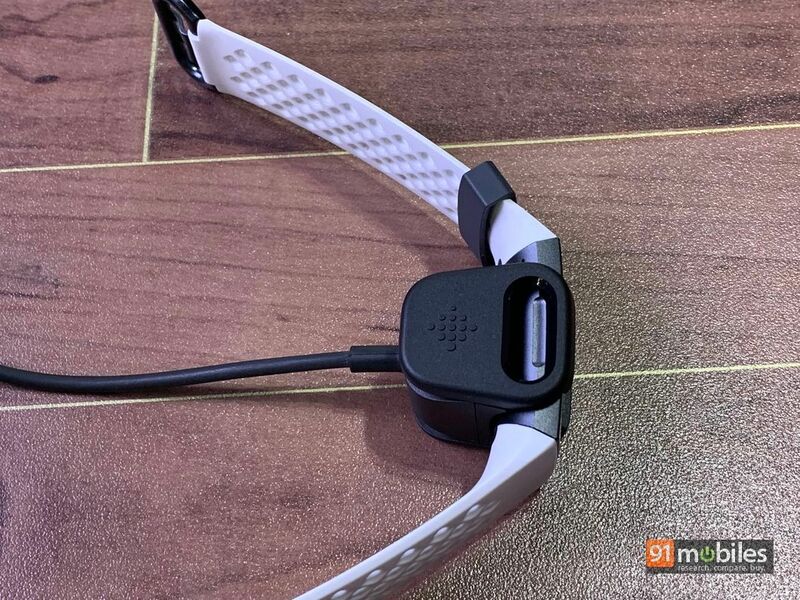 At the back of the device is the heart rate sensor and charging connector pins. While I’m on the subject of charging, worth noting that the Charge 3 uses a proprietary clip-on charging cable, which, unfortunately, is custom designed for this specific device. 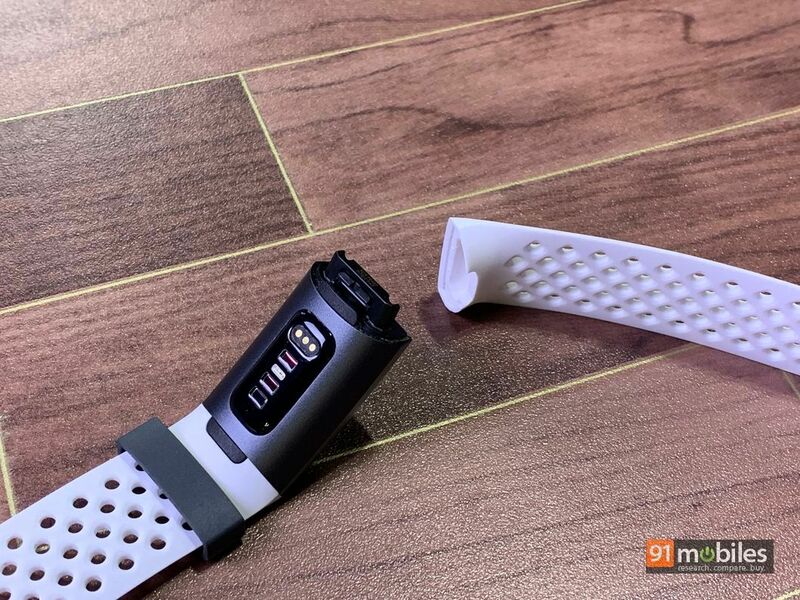 I so wish smartwatch and fitness band manufacturers would sit down and work out a standard for charger designs, just like smartphones, but admittedly, this could remain a pipe dream for a long time, given the various assortment of designs and form factors these devices come in. 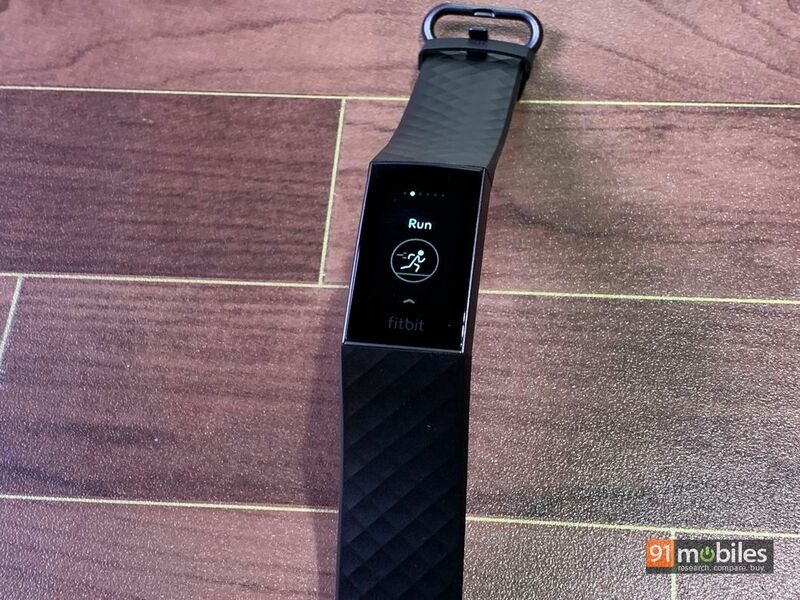 Moving on to the features, the Charge 3 does everything you’d expect from a full-fledged fitness band. 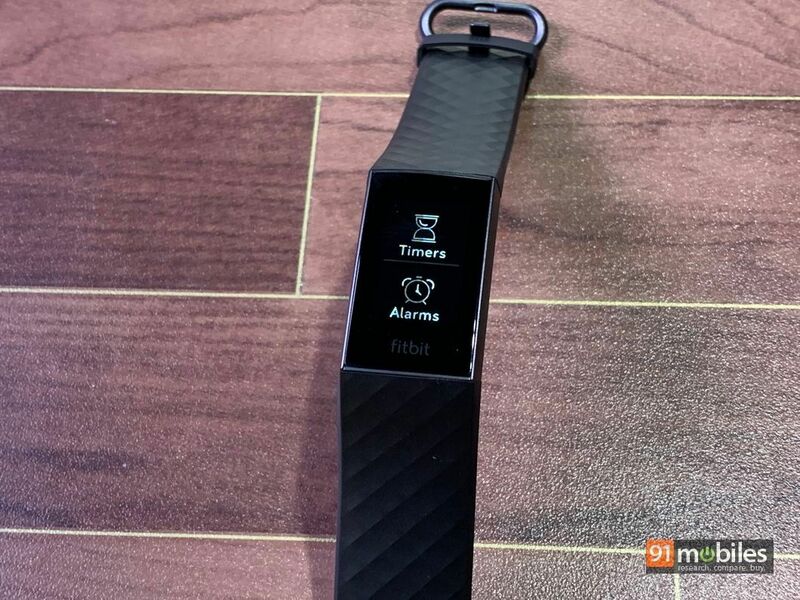 It can track physical activity, recognise workouts automatically, monitor your heart rate and sleep patterns, and thanks to the feature-rich Fitbit platform, guide you towards a fitter lifestyle. 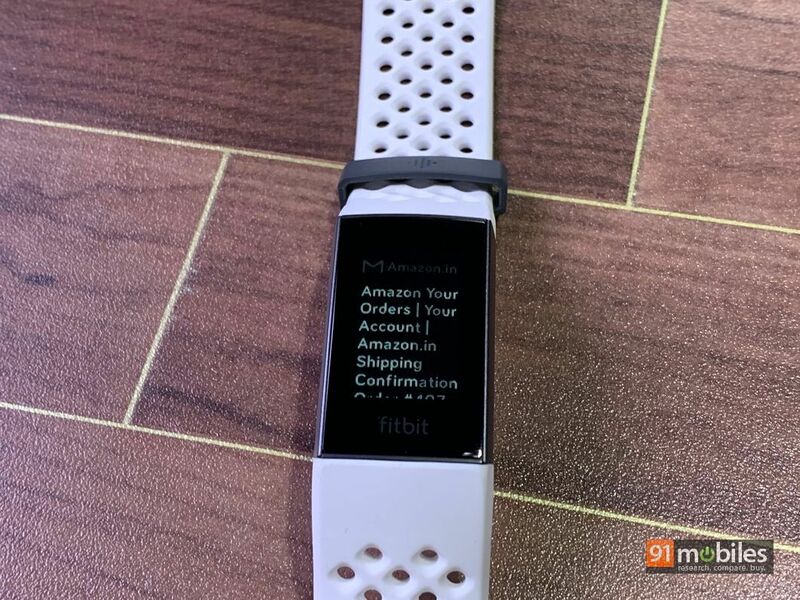 The device features NFC for payments as well, but since this particular feature is pending regulatory approvals in India, don’t expect it to be available anytime soon. Another thing worth noting is that there’s no built-in GPS, but it can still track pace and distance in real time if you keep it connected with your phone during outdoor runs. 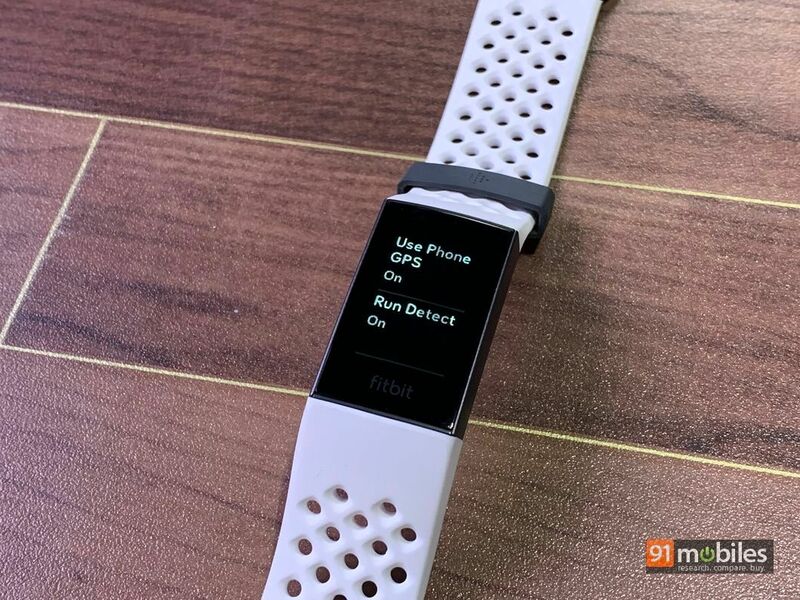 And while it’s not really a smartwatch, it can also mirror notifications from your smartphone, and if you’re using an Android phone, let you send quick replies too. There’s no support for third-party watch faces or apps, but the Charge 3 does let you choose one from 13 different watch faces via the app. 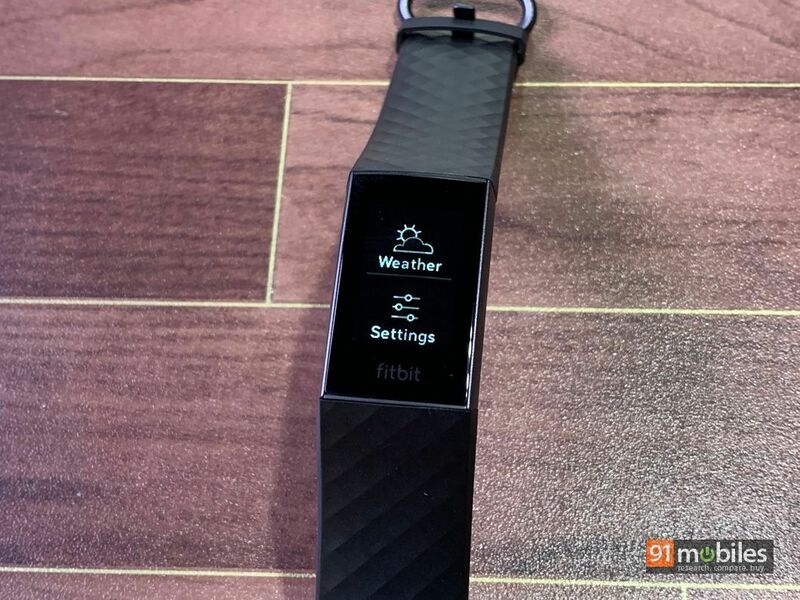 For apps, you get exercise, alarms, weather, relax, and timers, all of which come preloaded on the fitness band, and can be accessed by swiping left on the display. Do note that you need to use the app to set new alarms, but the ones you’ve set can be toggled on or off directly on the device itself. Swiping downwards displays recent notifications, while swiping up displays your activity stats. 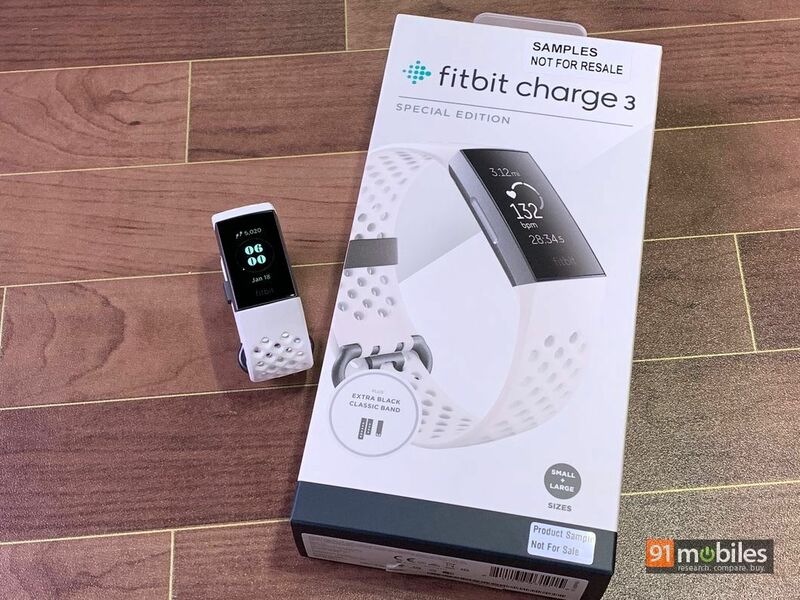 As far as the actual, real-world performance of the Charge 3 is concerned, Fitbit claims that the device is its most advanced tracker ever, and boasts nifty algorithms to make sure it can monitor your physical activity accurately. 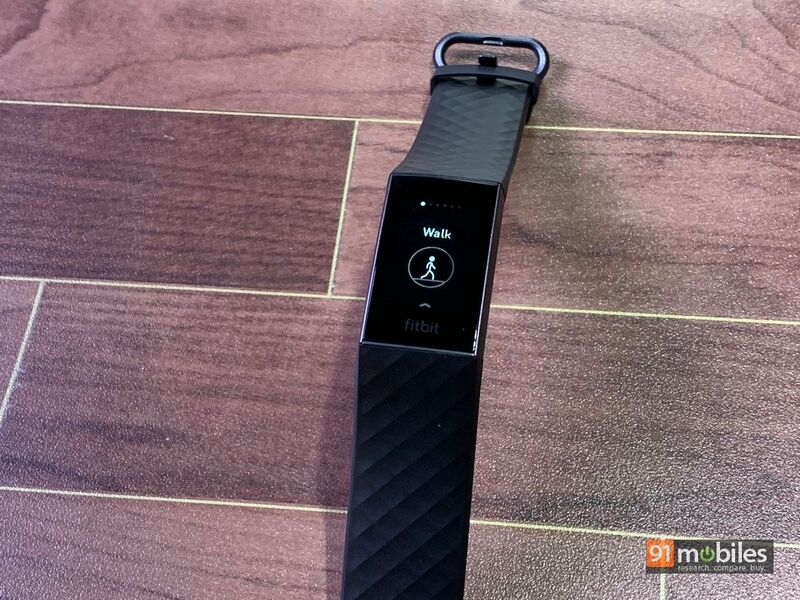 The step count is just about as accurate it can get on a fitness band, and so is the heart rate monitoring. The sleep pattern monitoring can also throw up some useful insights, and might help you in making some lifestyle changes so you can sleep better, and therefore stay active the next day. 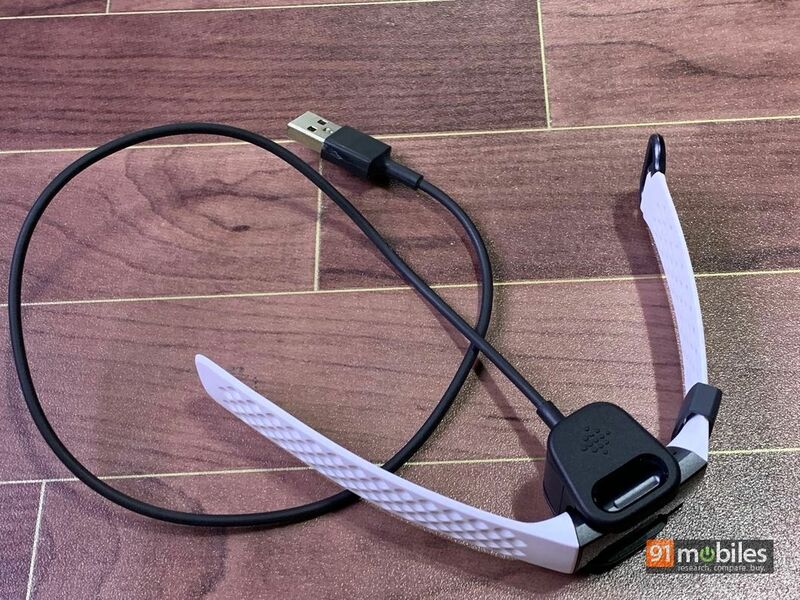 The Charge 3 even managed to log my evening table tennis sessions in office. Fitbit claims a battery life of 7 days, and with my usage, I’m glad to report that I survived a full week without charging it. Even if you use the exercise mode more actively though, I reckon you should be able to eke out 4-5 days off a single charge, and that’s pretty good in my books. 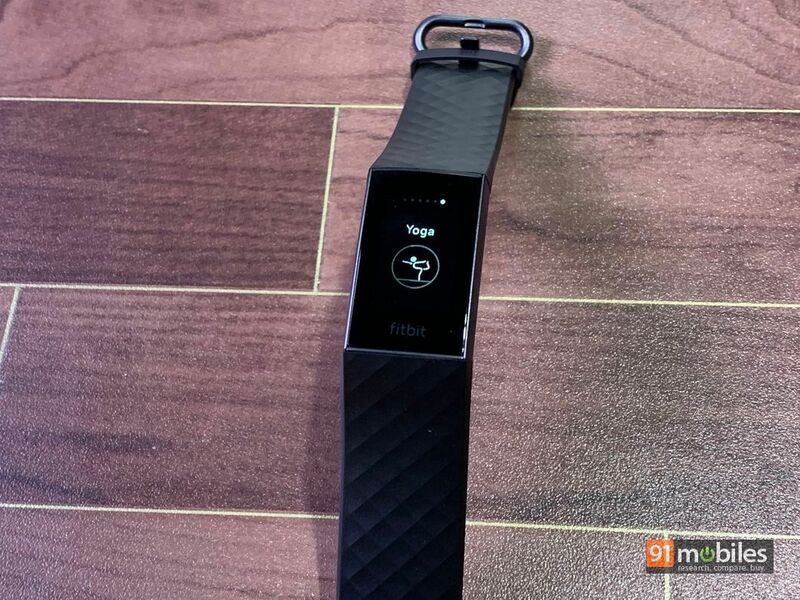 At Rs 13,990 (Rs 15,999 for the special edition), the Fitbit Charge 3 doesn’t come cheap. 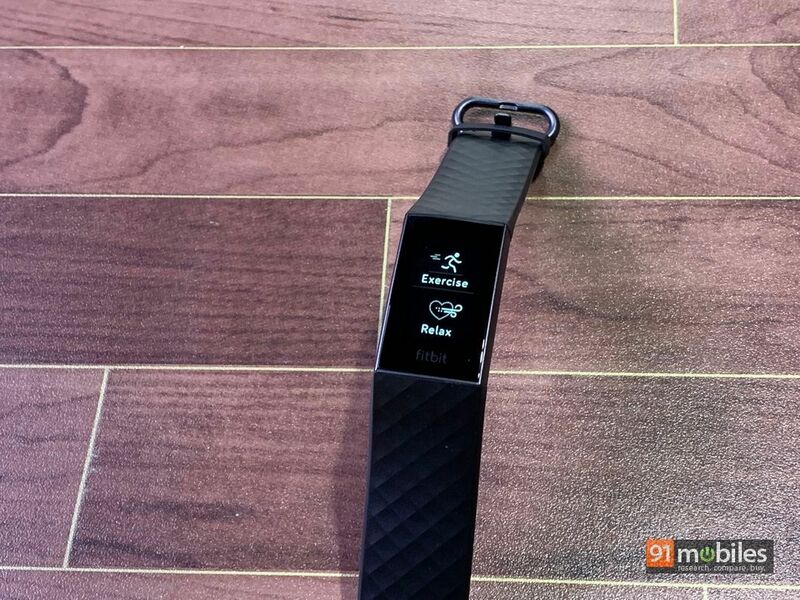 As you can probably guess by now though, I think it’s well worth a buy for fitness-conscious folks. 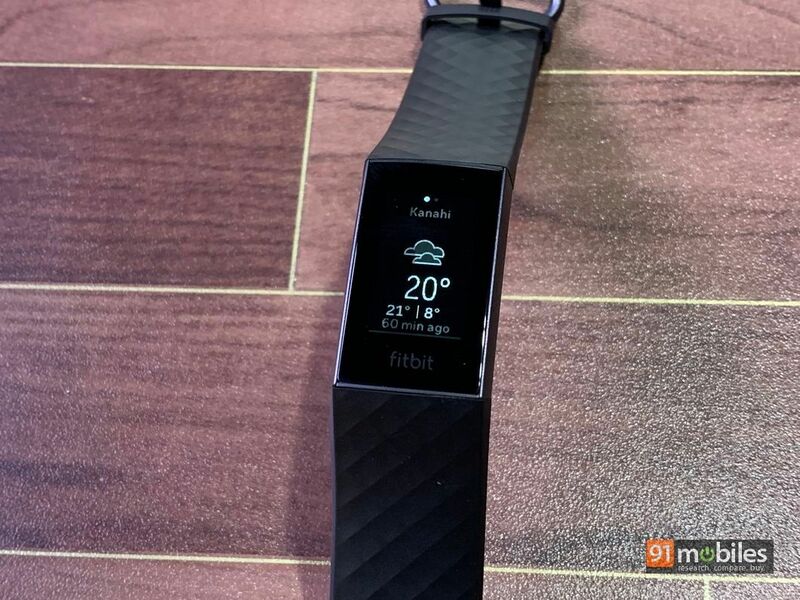 The real decision to make here is whether you should go for the Fitbit Versa (review) instead. 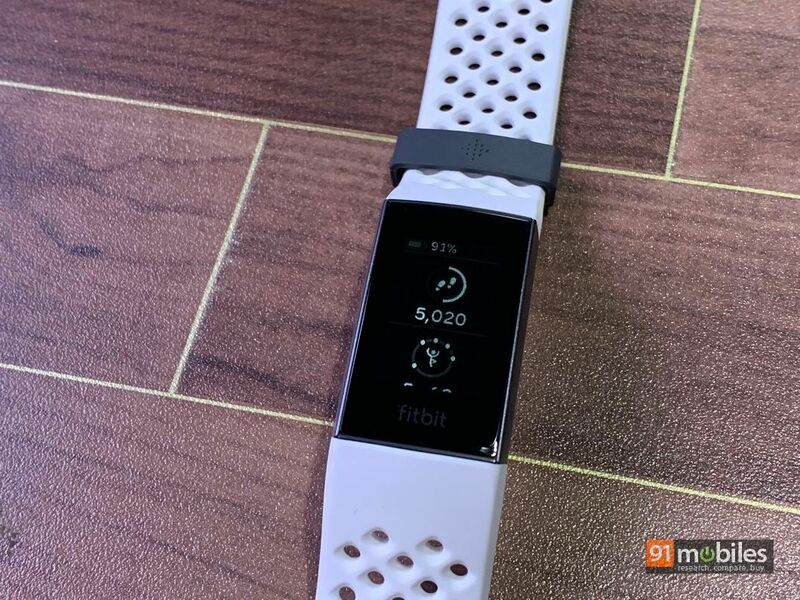 The Versa and the Ionic (review) were launched not too long ago, and are Fitbit’s first attempts at making fitness-centric smartwatches post its acquisition of Pebble. 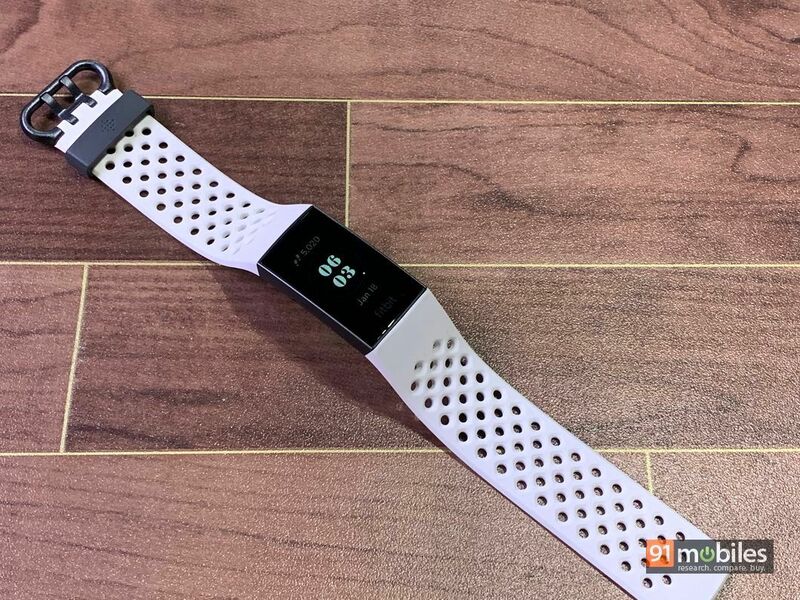 The Versa, currently listed at around Ra 17,500 online, is priced just marginally higher than the Charge 3, and apart from offering similar fitness features and the same software ecosystem, also works as a smartwatch and lets you install third-party watch faces and apps too. 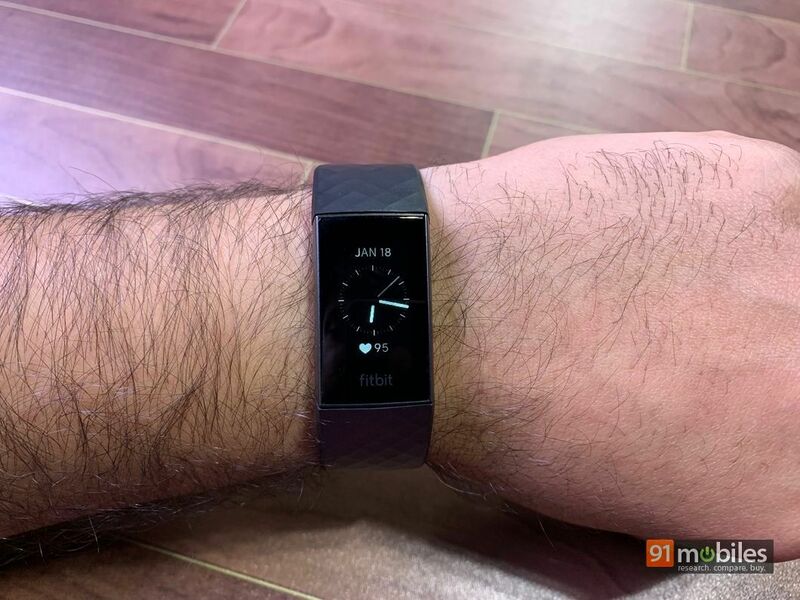 So in case you don’t mind ditching your regular wristwatch, something like the Versa (or even the Ionic) makes sense, but if you would still like the option of adorning a regular watch, the Charge 3 works well as a lightweight, low-profile fitness band you can wear on your other wrist. 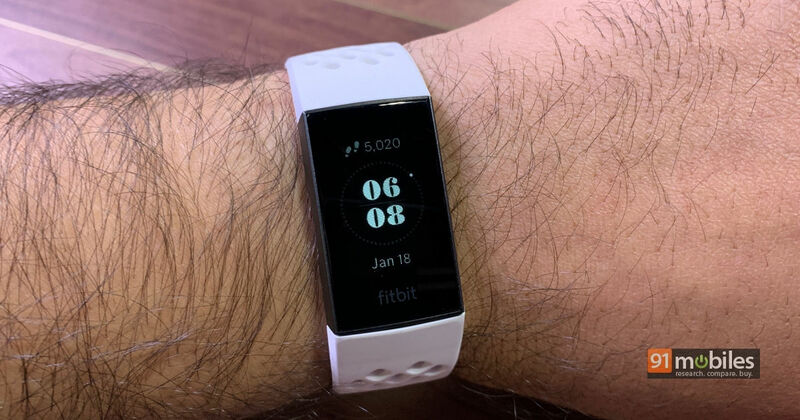 And well, even if you just wear the Charge 3 and spend the day being a couch potato, at least it’ll tell you the time and keep reminding you periodically to get your posterior out of the chair.